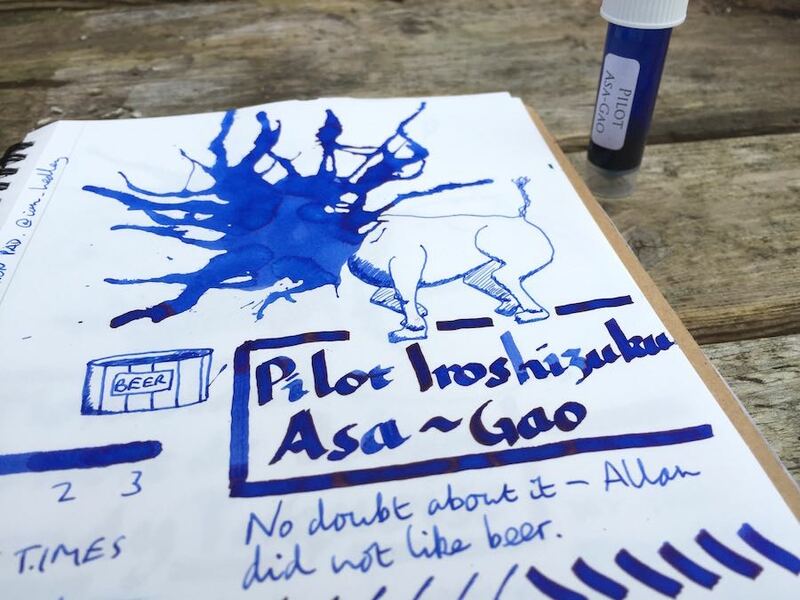 Pilot Iroshizuku Asa-Gao Ink Review – Pens! Paper! Pencils! I’m not a huge fan of royal blue but this ink has something quite lovely about it. A gorgeous deep blue with good shading and quick dry times. 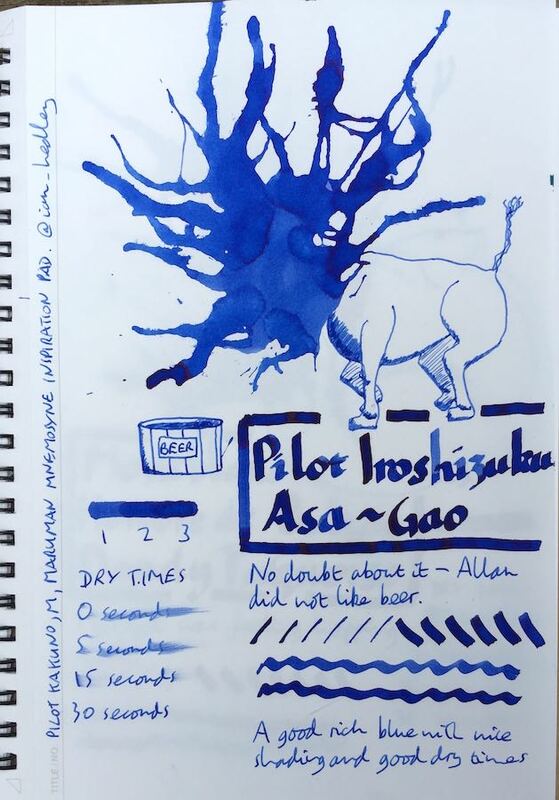 This sample was provided by Pure Pens to promote their ink sample service. If you live in the UK (or nearby!) please do check out the great range of samples they have available there.